Sherri Hill Prom https://www.sherrihill.com/collection/prom-dresses/Bedazzled has hundreds of Prom Gowns in stock in both Hickory and Gastonia locations. We are here to help you find the perfect dress that makes you stand out from everyone else! We register your gown so noone else can purchase from our store the gown you chose. You can be a "One of a KIND GIRL"! We also will perfectly match your date's tuxedo to your dress for you! 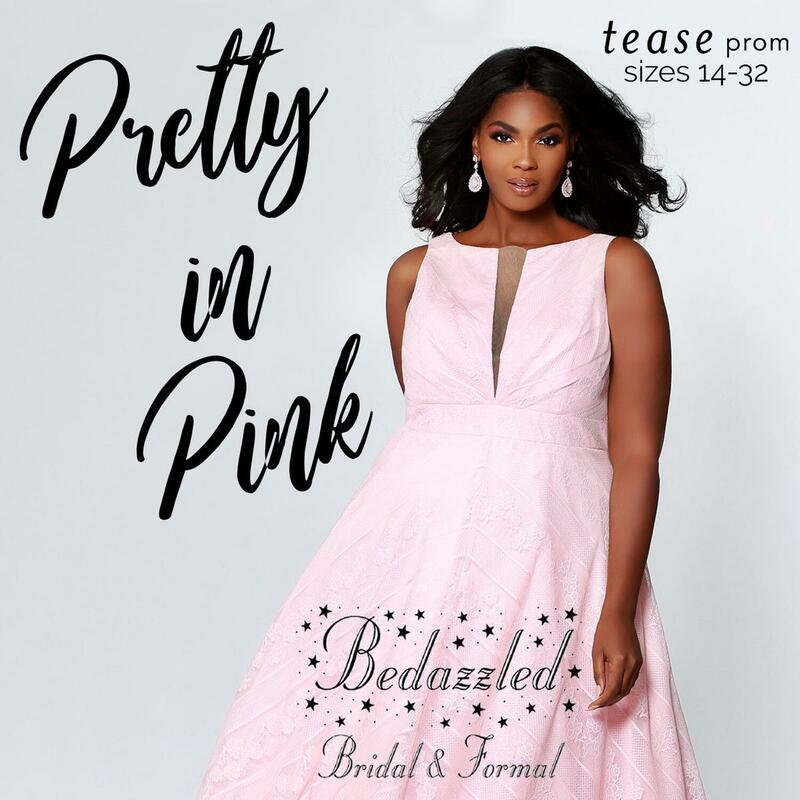 We carry all the great designers; Sherri Hill, Jovani, Tiffany, Alyce, Favani, Tease, Sydney Closet Prom, Lucci Lu, Madison James, and Mori Lee , but what makes us unique is we carry lots of Exclusive designers so you get that perfect unique dress! Bedazzled carries dresses for all types and sizes, we carry sizes 000-32 in store!! Beautiful dresses at amazing prices. Hurry into either store and get your dress registered before somebody else does!